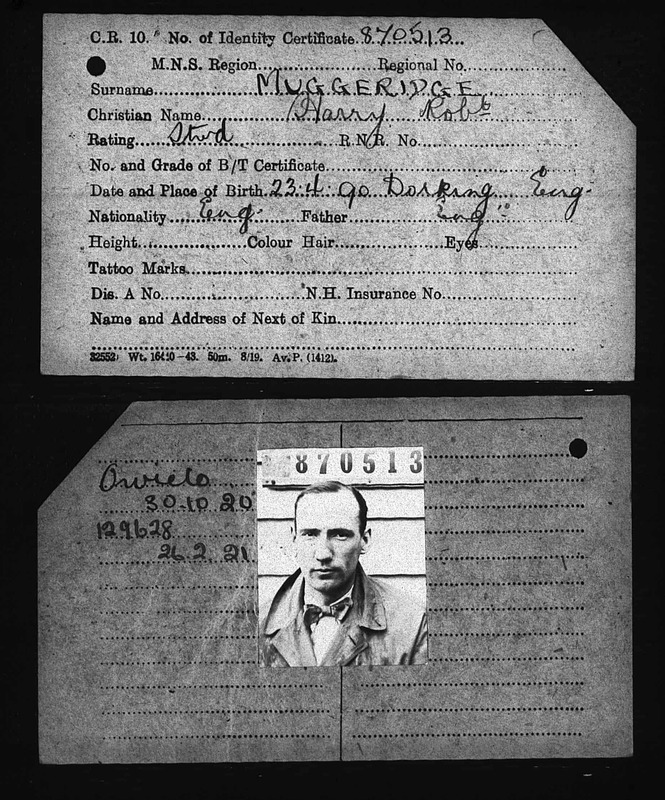 Henry Arthur Muggeridge was born in 1890 in Dorking, Surrey to agricultural labourer Henry Muggeridge Jnr. and his wife Charlotte Elizabeth, née Jones. Henry Muggeridge Jnr. was born in 1866 in Abinger, near Dorking to Henry Muggeridge Snr. and his wife Eliza, née Stamford, born around 1839 in Rudgwick, Sussex. Henry Muggeridge Snr. was born c. 1835 in Abinger to farmer William Muggeridge, born c.1805 in Warnham, Sussex, and his wife Harriet née Waller, born c. 1810 in Rudgwick. At the time of the 1851 census, the family lived in Abinger. William was a farmer of 40 acres and Harriet was looking after their 6 children. Henry Snr. 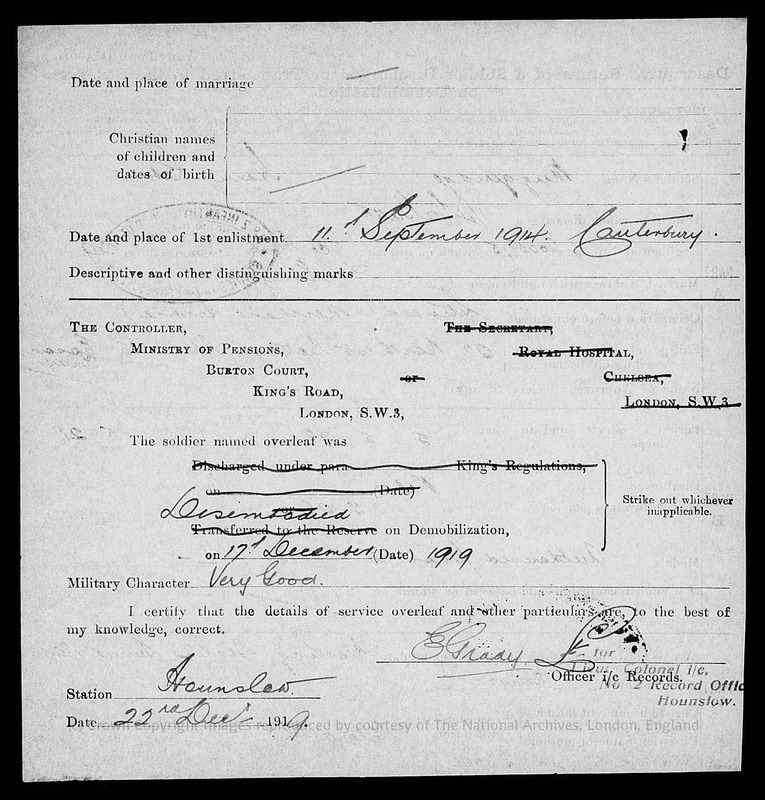 and Eliza had been married on 11th October 1862 in Rudgwick. 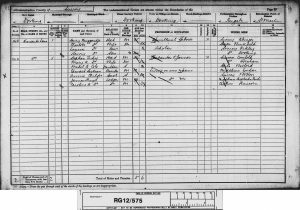 By the time of the 1871 census, the family were living at Coxland, Ewhurst, Surrey. Henry Muggeridge Snr. was a farmer of 30 acres employing a labourer. Eliza was looking after their 2 children, including Henry Jnr. 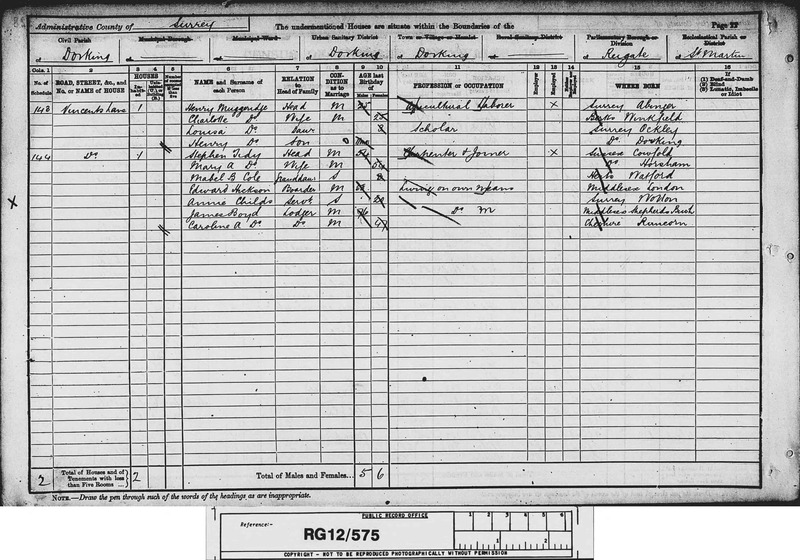 By the time of the 1881 census, the family were living at [Becketts?] Farm, Abinger. Henry was now farming 100 acres and employing 2 men. His second wife, also called Eliza, was looking after their five children. The household further comprised of Henry’s son from his first marriage, Henry Muggeridge Jnr. and a farm servant. 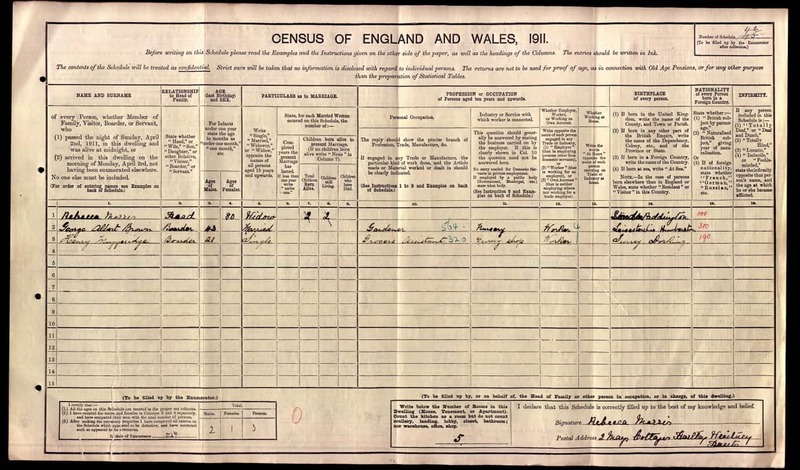 Henry Arthur’s mother, Charlotte Elizabeth Jones, was born in in 1865 in Winkfield, Berkshire. Charlotte and Henry Muggeridge Jnr. were married on 2nd October 1886 in Dorking. Their daughter, Louisa Jane, was born in 1888 in Ockley, near Dorking and Henry Arthur was born on 23rd April 1890 in Dorking. 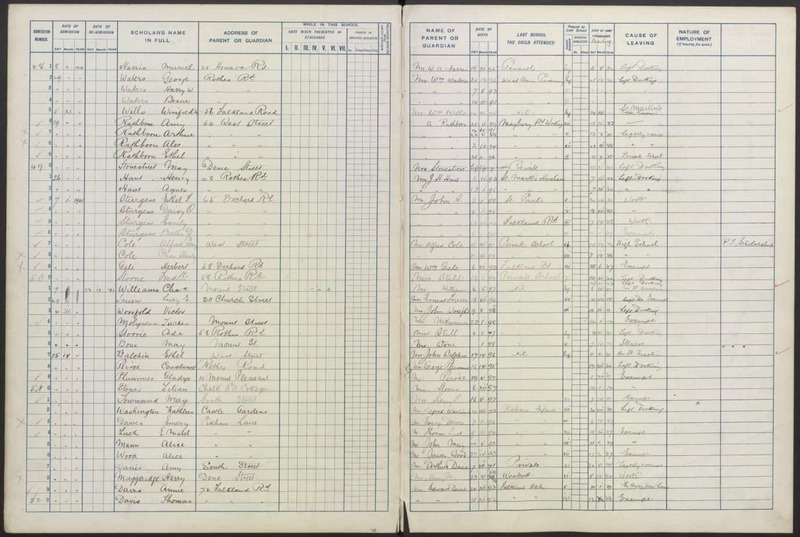 At the time of the 1891 Census, the family were living in Vincent Lane, Dorking. Henry was working as an agricultural labourer and Charlotte was looking after their two children. On 15th April 1901 Henry was admitted into the Dorking British School. At this time the family was living in Dene Street, Dorking. He had previously attended school in Westcott. Henry’s father Henry Muggeridge Jnr died in 1908 and was buried on 16th July at the Dorking Municipal Cemetery. 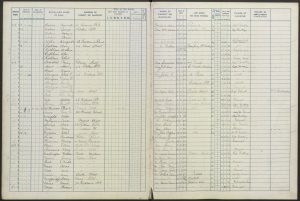 By the time of the 1911 Census, Henry was working as a grocer’s assistant and boarding at the home of the widowed Rebecca Morris at 2 Mays Cottages, Hartley Wintney in Hampshire. 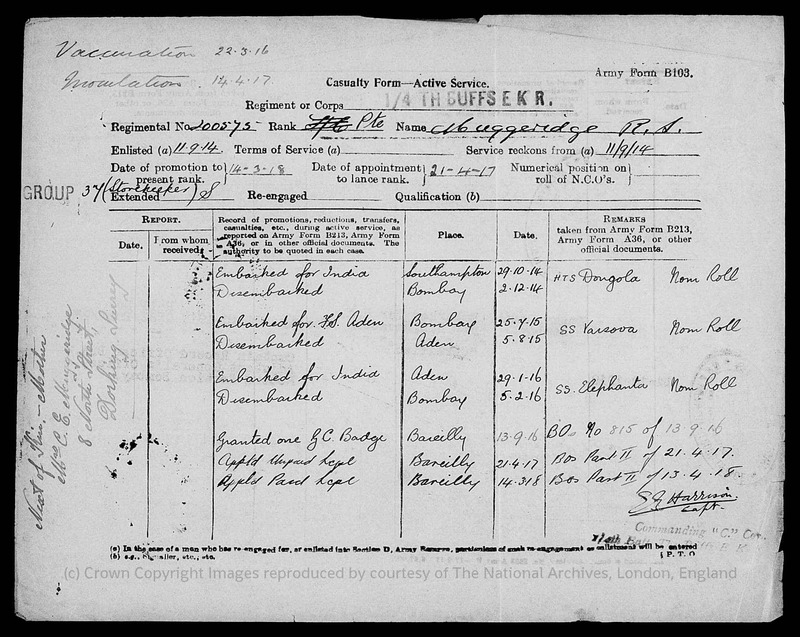 On 11th September 1914, Henry enlisted in Canterbury into the 1/4th Battalion, the Buffs (East Kent Regiment). He became a Lance Corporal and his regimental number was 200575. 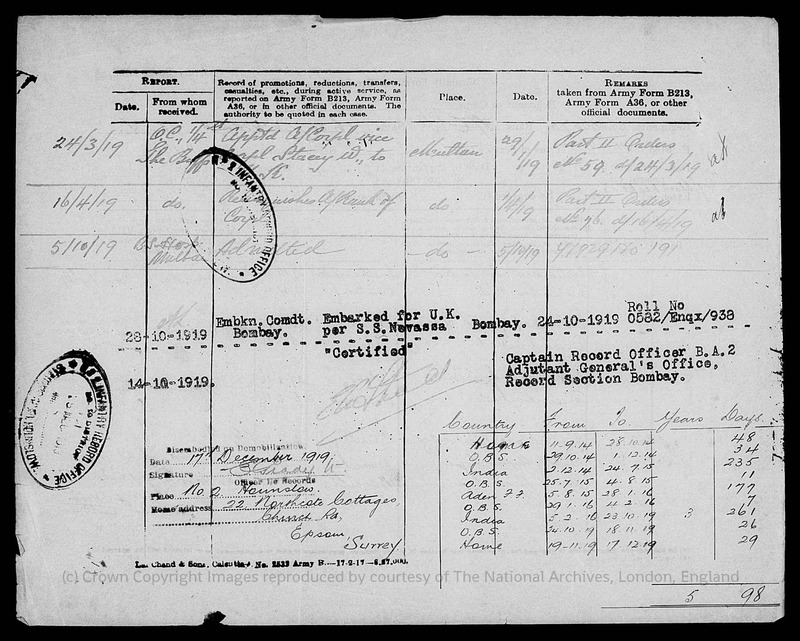 In his British Army Service Records his name is stated as ‘Harry Robert’ Muggeridge. Prior to enlisting, Henry was employed as a steward in the merchant service for the Oriental Steam Navigation Co. Ltd, Tilbury Dock, London. His permanent address by this time was recorded as 22 Northcote Cottages, Church Road, Epsom, Surrey. 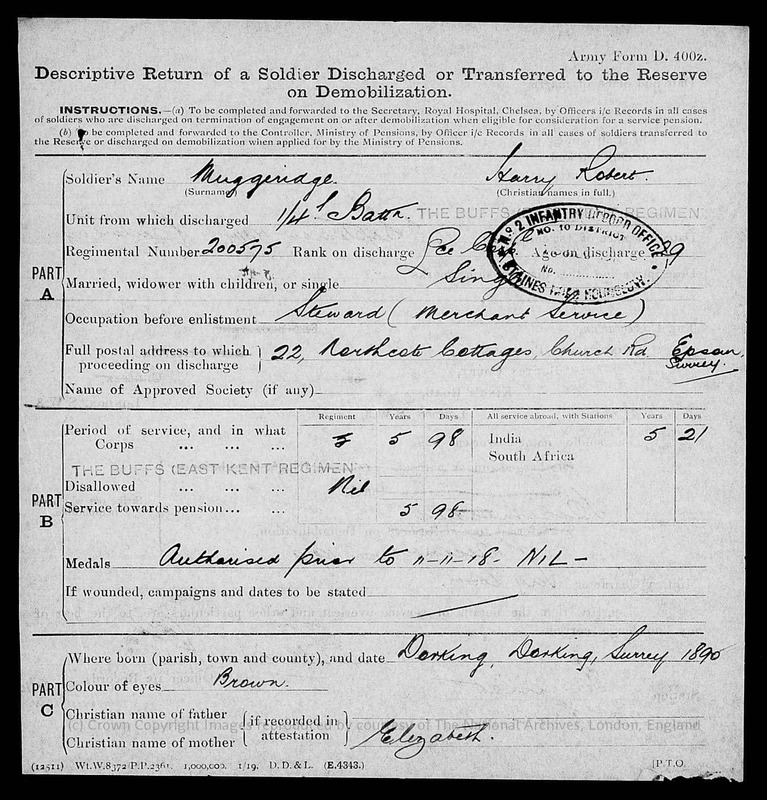 Henry Arthur served in India and Aden during WW1, sustaining an injury to his right ankle while on duty in February 1918 at Amballa, India. 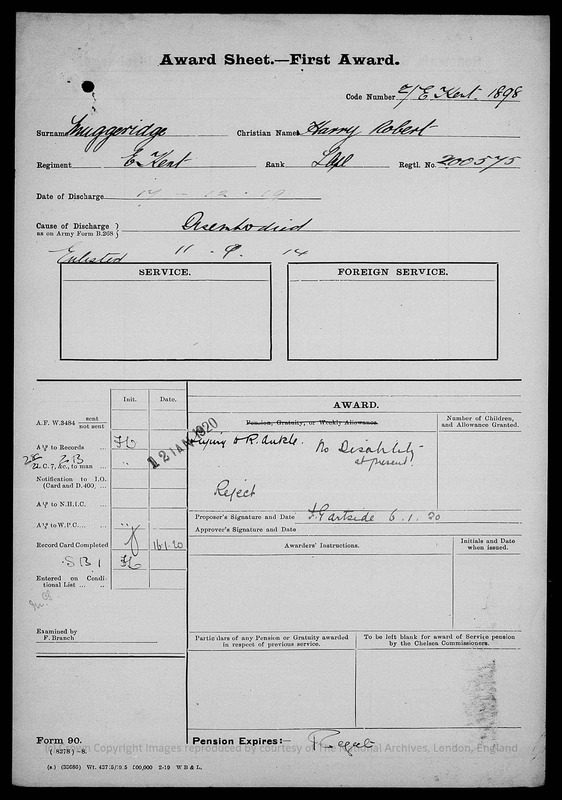 He disembarked on mobilisation on 17th December 1919, having served in the Army for 5 years and 98 days. His military character was very good. 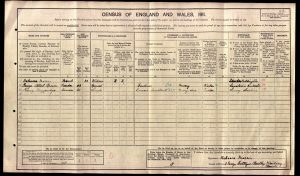 Henry Arthur Muggeridge married Charlotte Evelyn Laurence on 30th April 1924 at St Mary’s Church in Holmwood. At the time of the marriage, the couple were living in Holmwood and Henry Arthur was working as a steward in the Orient Service. 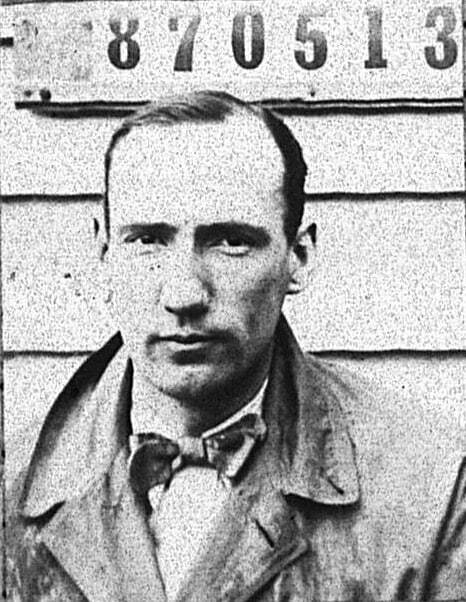 Henry Arthur (Harry Robert) died on 28th November 1947 in Australia. He was buried at Woronora Cemetery, Sutherland, New South Wales.